“consider a chord drawn in a circle. If the chord subtends an angle at the center, then it subtends an angle at any point on the circumference on the major segment”. Move the points on the circumference around to build an appreciation of this theorem. Now let’s prove the theorem. Here is a diagram to get started with. Notice that three triangles are isosceles, with equal sides being equal to the radius of the circle. 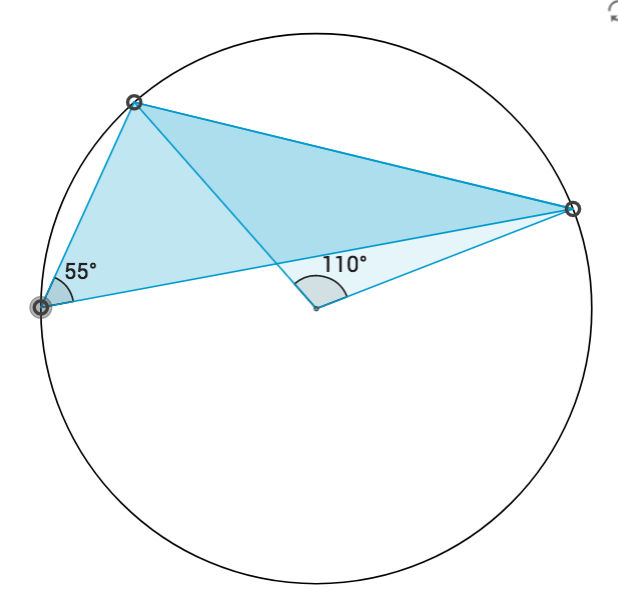 Write an expression for each angle at center, using the sum of angles in a triangle is 180 degrees. Here is this proof written out. Euclid’s proof is slightly different. 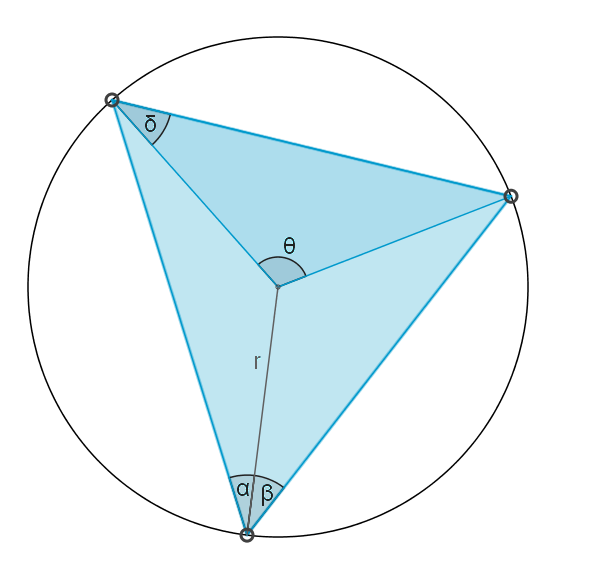 Euclid uses the theorem about the exterior angle of a triangle – the exterior angle of a triangle is equal to the sum of the opposite sides. Done here! Let’s go back to the triangles menu.